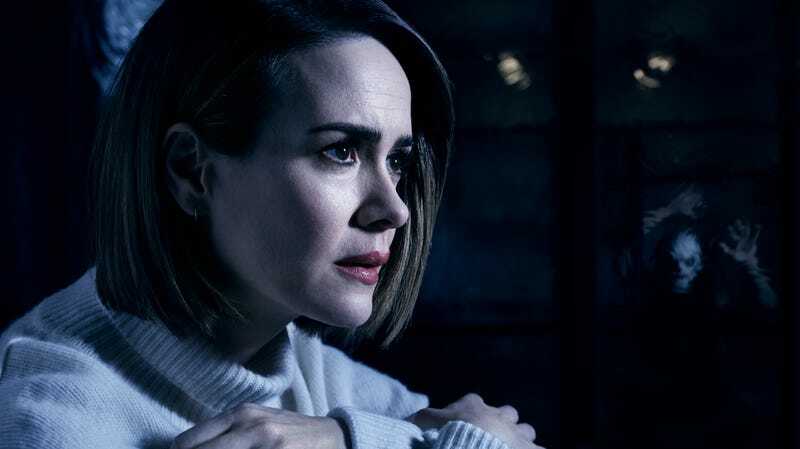 FX’s American Horror Story has used its flexible anthology format to dig into (and overcomplicate) myriad corners of genre, from ghosts and black magic to cults and post-apocalyptic drama. For his newest installment, it appears overseer Ryan Murphy will slip on a blood-splattered hockey mask to turn the oh-so-humble slasher into something exhausting and overstuffed. Murphy took to Instagram with a brief teaser for the season, which finds an ingenue fleeing from a knife-wielding, Voorhees-like stalker speed-walking through some ominous woods. Emma Roberts and Olympian Gus Kenworthy have been cast, while franchise stalwart Evan Peters will, for the very first time, not return. No stab for you, Evan. Stick around until the end of the teaser and you’ll see its title is 1984, which is, um, exactly the same as that of the upcoming Wonder Woman sequel. What is it about that year? For Murphy, probably, it was a hell of a good year for slashers, seeing the release of Nightmare On Elm Street, Friday The 13th: The Final Chapter, Silent Night, Deadly Night, and Children Of The Corn. Knowing Murphy, the DNA of these and more flicks will be interwoven with a bunch of characters from, who knows, the Roanoke season or something. AHS: 1984 will unfurl your intestines sometime this fall.